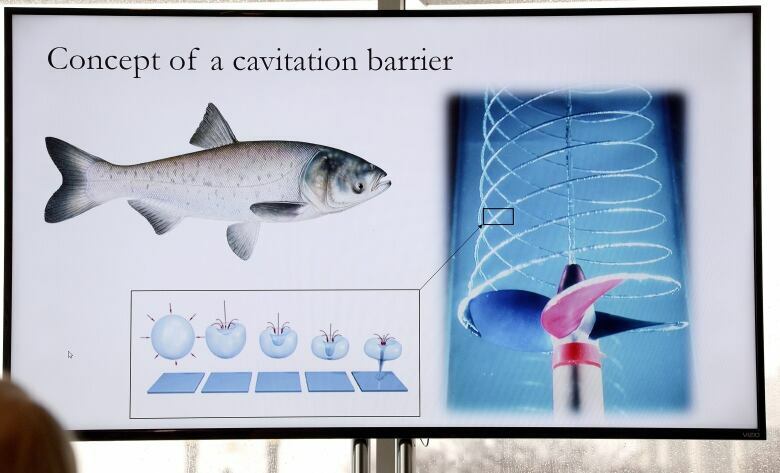 A proposal to repel Asian carp with stinging, noisy bubbles won first prize Tuesday in a contest sponsored by the state of Michigan to find new ideas for keeping the invasive fish out of the Great Lakes. A proposal to repel Asian carp with stinging, noisy bubbles won first prize Tuesday in a contest sponsored by the U.S. state of Michigan to find new ideas for keeping the invasive fish out of the Great Lakes. 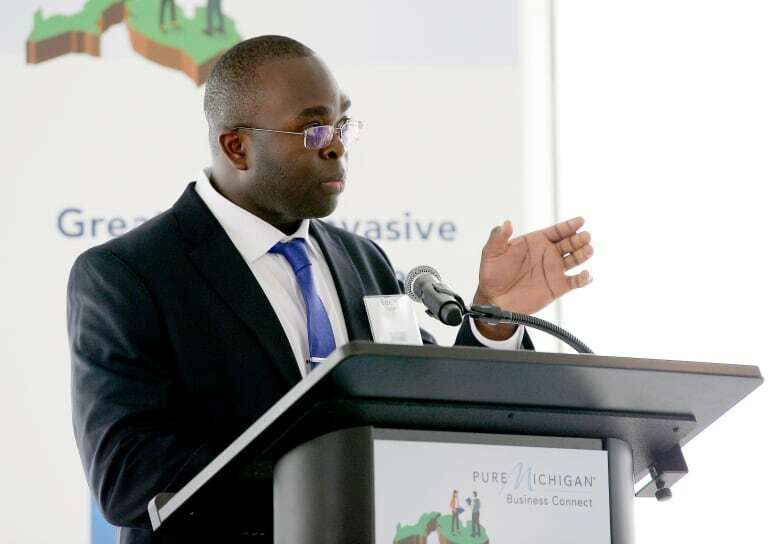 Edem Tsikata, a software consultant in Boston, was awarded $200,000 in the Great Lakes Invasive Carp Challenge, which Michigan Gov. Rick Snyder announced last year. He described it as a bid to jump-start a sluggish governmental effort to shield the lakes and their native fish from aggressive, voracious carp that have infested the Mississippi River and its tributaries, including the Illinois River, which leads to Lake Michigan. Three other contestants received cash awards. The challenge drew 353 entries from 27 nations. "I'm confident that the solutions presented today help take us one step closer to ensuring our waters remain free of this dangerous and harmful invasive species," the Republican governor said. The concluding round of the competition in Detroit featured live presentations from four finalists and was dubbed "Carp Tank," a takeoff on the reality television show "Shark Tank," in which entrepreneurs pitch their ideas to rich investors. 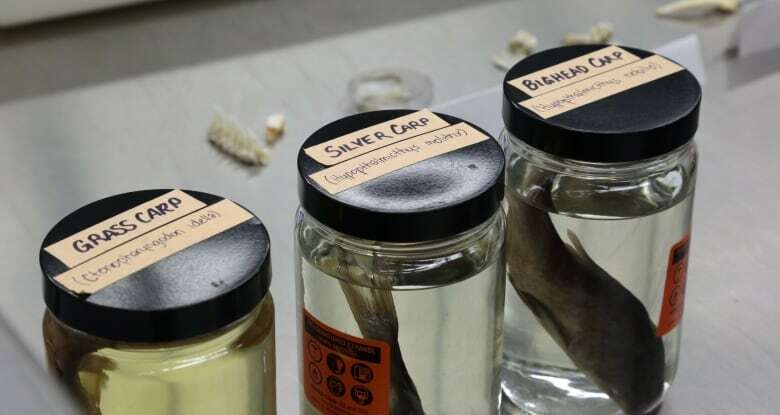 Snyder was among four judges on the carp panel, which also included Denice Shaw, a U.S. Environmental Protection Agency innovation adviser; Michigan Design Council Chairman Jeff DeBoer; and invasive species scientist David Lodge of Cornell University. Tsikata's idea was to install specially designed underwater propellers to generate a wall of bubbles that would implode as they move into high-pressure areas, emitting high-speed water jets. The noise of the propellers should be enough to deter the carp, but those that continue forward would experience a powerful stinging sensation as the bubbles burst. 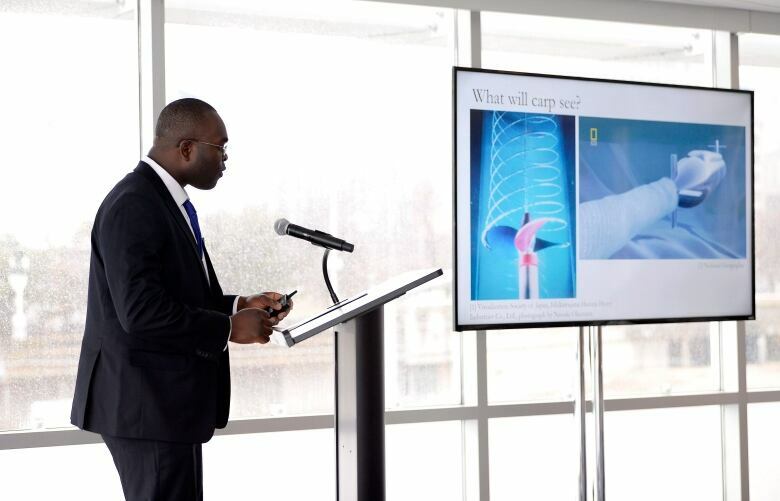 Tsikata, 38, who has a Ph.D in experimental atomic physics and has worked in NASA's Jet Propulsion Laboratory, told The Associated Press he designed the bubble wall to complement an electric barrier system in the Chicago Sanitary and Ship Canal that is intended to block the path of Asian carp and other exotic species. He said it could be placed between the electric barriers and the Brandon Road Lock and Dam about 10 miles farther downstream in Joliet, Illinois, where the U.S. Army Corps of Engineers is considering a $275 million plan to install new carp defences. Among the features of the Corps' plan are water jets, another electric barrier, noisemakers and a "flushing lock" where some invasive fish could be removed. 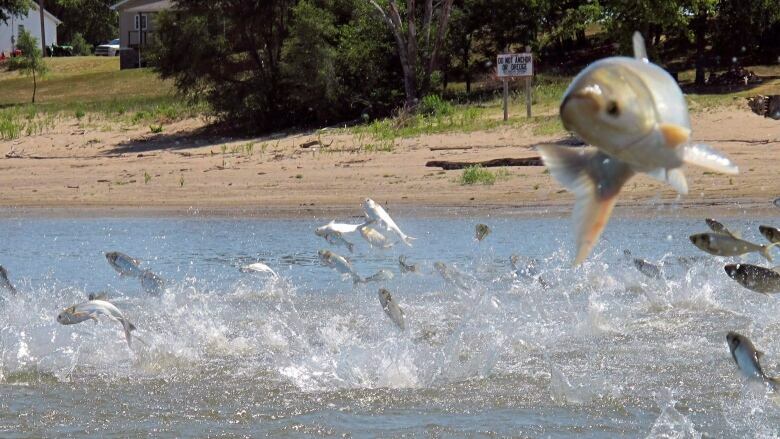 prospect of helping solve the Asian carp threat as "extremely exciting." The judges based their assessments on the projects' potential effectiveness, feasibility, effects on people and the environment, and degree of innovation. The second-place award of $125,000 went to David Hamilton of The Nature Conservancy in Lansing, Michigan, who proposed a lock system where water would be treated with chlorine to kill fish and other organisms, then detoxified. Michael Scurlock, a hydraulic engineer from Carbondale, Colorado, won $100,000 for designing a lock system that would generate currents too powerful for fish to swim against. D.J. Lee of Smart Vision Works International in Orem, Utah, won $75,000 for a software sorting system that would steer invasive carp into a holding area for removal. Michigan officials will ask the Army Corps for a meeting to discuss proposals developed through the contest, said Tammy Newcomb, a fisheries biologist with the state Department of Natural Resources. "Whether any of these ideas get implemented is another story, but we're always willing to listen," said Allen Marshall, spokesman for the Corps' Rock Island District, which includes the Brandon Road complex.